Product prices and availability are accurate as of 2019-04-21 23:57:10 UTC and are subject to change. Any price and availability information displayed on http://www.amazon.com/ at the time of purchase will apply to the purchase of this product. 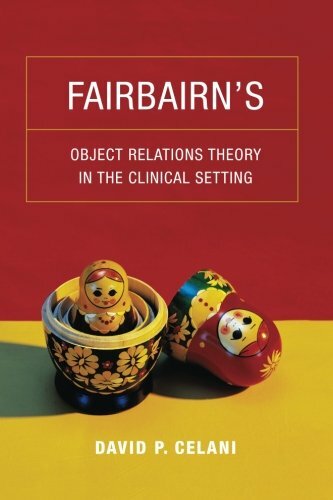 W. R. D. Fairbairn (1889-1964) challenged the dominance of Freud's drive theory with a psychoanalytic theory based on the internalization of human relationships. Fairbairn assumed that the unconscious develops in childhood and contains dissociated memories of parental neglect, insensitivity, and outright abuse that are impossible the children to tolerate consciously. 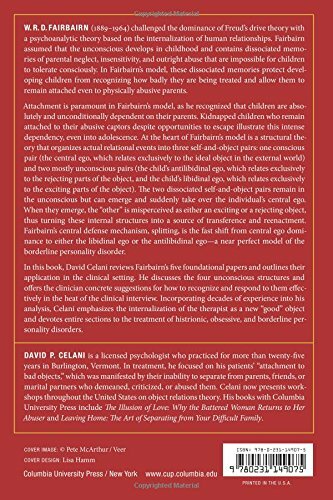 In Fairbairn's model, these dissociated memories protect developing children from recognizing how badly they are being treated and allow them to remain attached even to physically abusive parents. Attachment is paramount in Fairbairn's model, as he recognized that children are absolutely and unconditionally dependent on their parents. Kidnapped children who remain attached to their abusive captors despite opportunities to escape illustrate this intense dependency, even into adolescence. At the heart of Fairbairn's model is a structural theory that organizes actual relational events into three self-and-object pairs: one conscious pair (the central ego, which relates exclusively to the ideal object in the external world) and two mostly unconscious pairs (the child's antilibidinal ego, which relates exclusively to the rejecting parts of the object, and the child's libidinal ego, which relates exclusively to the exciting parts of the object). The two dissociated self-and-object pairs remain in the unconscious but can emerge and suddenly take over the individual's central ego. When they emerge, the "other" is misperceived as either an exciting or a rejecting object, thus turning these internal structures into a source of transferences and reenactments. 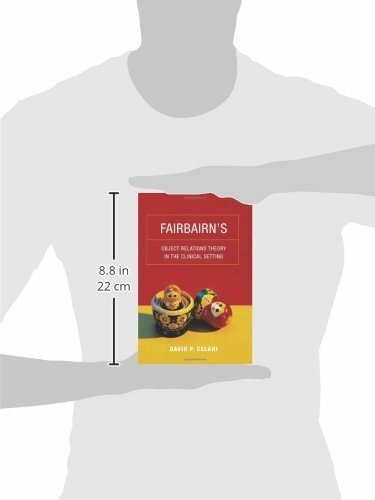 Fairbairn's central defense mechanism, splitting, is the fast shift from central ego dominance to either the libidinal ego or the antilibidinal ego-a near perfect model of the borderline personality disorder. In this book, David Celani reviews Fairbairn's five foundational papers and outlines their application in the clinical setting. He discusses the four unconscious structures and offers the clinician concrete suggestions on how to recognize and respond to them effectively in the heat of the clinical interview. Incorporating decades of experience into his analysis, Celani emphasizes the internalization of the therapist as a new "good" object and devotes entire sections to the treatment of histrionic, obsessive, and borderline personality disorders.